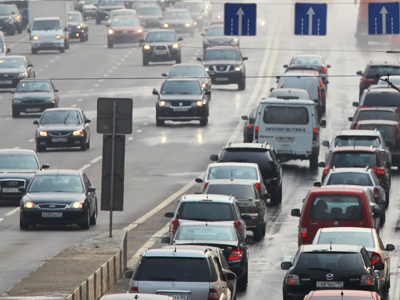 New car and light commercial vehicle sales in Russia rose 14% in April from that month last year to 266,267 units, says the Association of European Businesses (AEB). In 2012, Russians have bought 880,540 units - an 18% increase year-on-year. Analysts note interesting changes in the ranking of the 25 most popular models of cars on the Russian market. Sales of the Lada Kalina in the first four months of 2012 amounted to 48 thousand, which is a 10% decrease on last year. Sales of the Lada Priora reached 39 thousand units – a drop of 7% year on year. At the same time, sales of the Hyundai Solaris increased by 95% year on year. 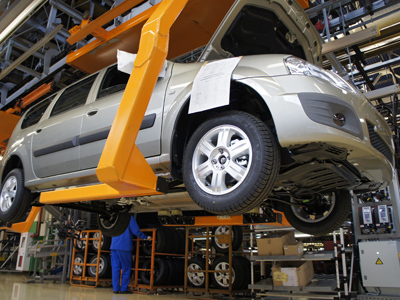 Korean budget car sales amounted to 38 thousand units – 18 thousand more than last year. In fourth place, the Ford Focus with 29 thousand cars sold. Lada Granta sales were 26 thousand cars. “Lada Granta’s presence in the list of the top 25 most popular cars suggests that the Granta has indeed become a successful unit and able to replace its predecessors. It has not even started selling versions with automatic transmission yet, so that everything is still ahead, and we can expect it to strengthen its market position in its segment”, says Kiril Markin from Investcafe. VAZ classics sales though continued to drop, with sales of the Lada 2104/2105/2107 in the first four months of the year totaling only 15 thousand – 69% lower than in 2011. 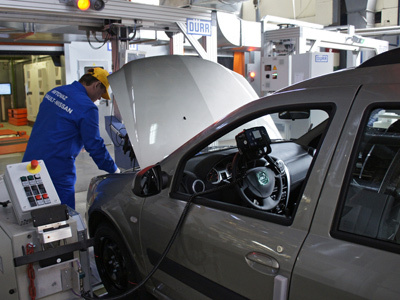 Sales of the domestic auto group Sollers for the period increased by 27% year to year and stood at around 27 thousand units. Fiat sales are no longer included in the calculation result for the group. Fiat and Sollers completely severed partnership, with the Russian company selling the rest of the Italian cars. Traditionally, the largest sales rises had been seen for the Korean SUV SsangYong. During the reporting period the group increased its sales by 72% to a level of 9 thousand units. “Sollers is successfully working on promotion of the SsangYong brand. A partnership with Ford and Mazda opened even broader prospects for the domestic automotive group”, says Kirill Markin. 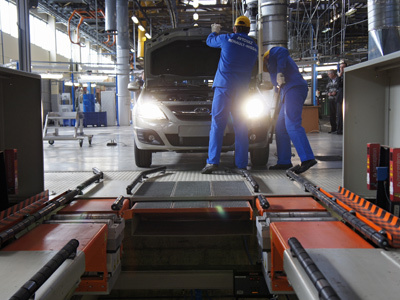 "The solid growth of the Russian automotive market continues into the second quarter," said David Thomas, head of the AEB autos committee.